If you are looking for house Removals Crowthorne, then A-Team Removals offer a friendly, 1st class service for all types of house removals in Crowthorne and the surrounding areas. We have been helping customers with their house removals since 1985. We care about customer satisfaction. That is why we meticulously plan your move with you, paying special attention to your wishes. We have built up a good reputation for house removals Crowthorne, as our testimonials show. Your personal household furniture and possessions, are our utmost priority. 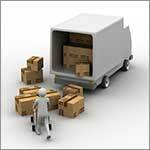 Our packing service ensures that your items arive at your new home in exactly the same condition as when they left. Why not take advantage of our removal experience and give us call for a free, no obligation chat about your house move. We know that when it comes to removal companies in Crowthorne, A-Team Removals will not dissapoint. Call us now on 01344 457416, or complete our contact form and let us take away the headache of your house removals in Crowthorne and the surrounding area's.